Disclaimers: If you are not of legal drinking age, or do not partake in alcohol, or if it’s a school night, you can play with a non-alcoholic beverage! If you are playing with actual alcohol, remember that alcohol poisoning is real. Hydrate! If you’ve listened to our Dianetics episode, you’ll know we found it a very painful read. Also, we resented having to purchase copies of the book, since it was either unavailable from our local libraries or we were too embarrassed to check it out from our place of work. * We are not actually licensed auditors and cannot promise to clear any engrams whatsoever. Please don’t sue us. Content warning: This episode contains discussion of abortion, attempted abortion, and domestic violence. Candy pairing: Kait says an apple with a razor blade inside, Renata says a misprinted Laffy Taffy, Sigrid says Candy Blox. 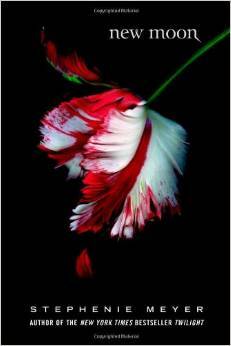 Coming up next: New Moon by Stephenie Meyer. Special note: Our New Moon episode is our one-year anniversary! 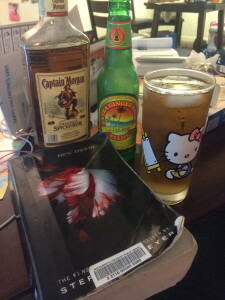 To celebrate, we plan to play a drinking game while we record. Please send us suggested rules for the drinking game, either on Twitter, Facebook, or email at worstbestsellers at gmail. We are also tentatively planning a Twilight movie tweet-along for some time the evening of October 4th. It’s currently streaming on Netflix, but if you don’t have Netflix and want to participate, start tracking down a DVD now. 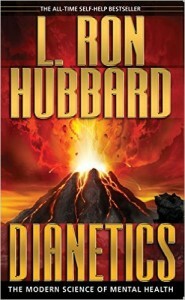 Here’s what we suggest instead of/in addition to reading Dianetics by L. Ron Hubbard. Listen to the podcast to hear us talk about some of these titles in more depth!